I prefer to share uplifting n positive stuff. BUT…..upon coming home from school, I’m told that in S.A.G.E fashion there was a discussion about “the India thing” (as we like to call it around our home). I am very grateful for S.A.G.E and its commitment to focus learning partially around global issues. It’s my choice to raise children with a level of real life parenting. “Then there was ‘the Ohio thing’ “she shares. Yep, you guessed, a quick search and I am utterly sickened. Outrage towards the (alleged) offenders and a deep concern for the victim and her family. 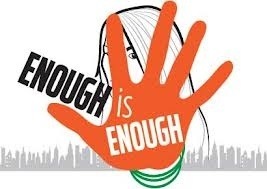 A serious finger waggling to all those that participated and condoned the actions of these 16 year old “animals” by videoing and posting on social media. I am feeling a little remorse in having the belief that India is far way and well “we don’t do stuff like that here in North America”.